So whats a Cowl Kit? Its the rain tray/plastic part in front of the window that tends to fade or crack. Its right near the window wiper arms and contains a seal or seals against the front windshield on the cowl part of the car. We have kits for a full repair and upgraded repair kits where needed for the seal. The rubber window seal itself (usually cracked) on the Gen 2 MINs is part of the left and right parts, but there is a holder slot seal under the tray that is sometimes needed. It just holds the bottom side of the cowls in place. On Gen 1 R50-R53 MINI Coopers 2002-2008 these were just the grilles that attach to the metal cowl. 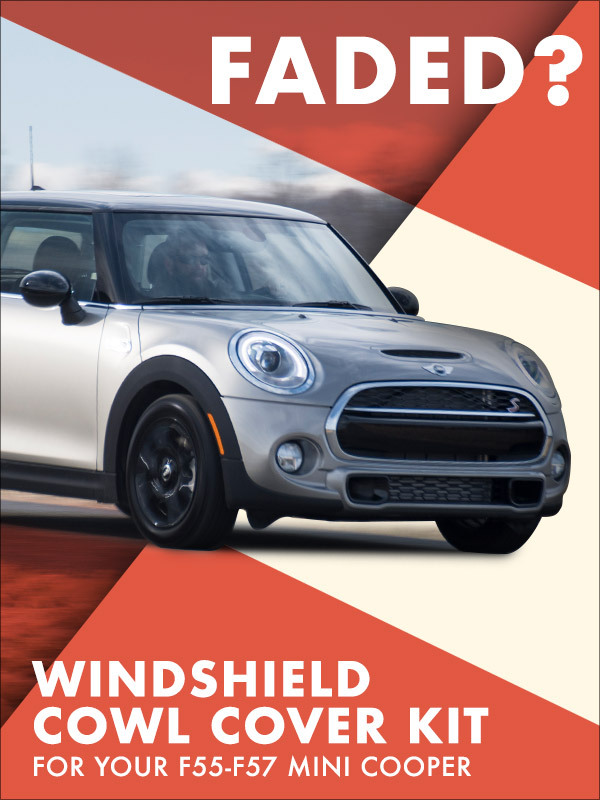 "Click HERE to shop 2007-2016 R55-R61 MINI Cooper Parts (Gen 2)"
"Click HERE to shop 2014 F55-F57 MINI Cooper Parts (Gen 3)"
Cowl Kits : Fix that cracked plastic below the windshield. 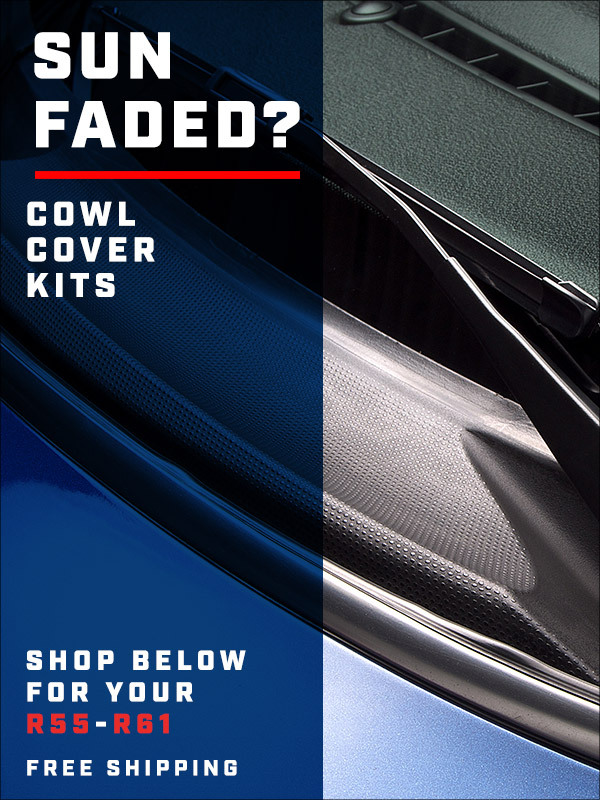 :: ECS Tuning :: MINI Paceman Cowl Kits ! Quick Reply: MINI Cooper Cowl Kits?